Today’s technology is becoming more and more portable. The introduction of the tablet revolutionized the way we consume our data, and this revolution has lead to the creation of a new and fast growing accessories market. Many of my colleagues have iPads, Galaxy Tablets, and I have a PlayBook (yes, I like it), but we all suffer from one similar issue. What do we do with our tablet when we don’t feel like holding it anymore? Spire thinks they have a simple solution for us. 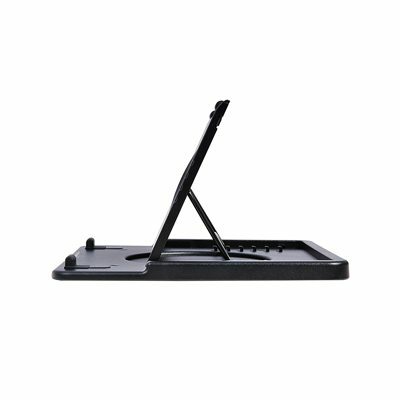 Enter the Spire Cassi, an ergonomic stand for eBooks and tablet PC’s. The Spire Cassi, made from ABS Plastic, is designed with a simple system to give you the perfect viewing and working angle for you and your tablet. 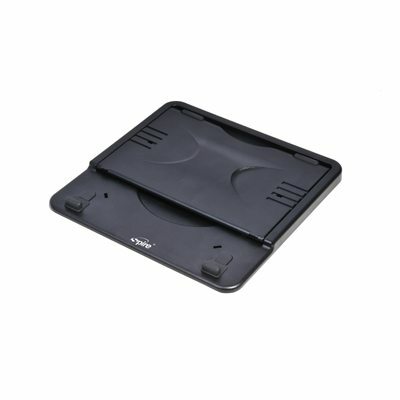 The slope of the back support can be changed and configured for 6 positions and ensures that your expensive tablet doesn’t slide off by implementing an anti-slip protection system. 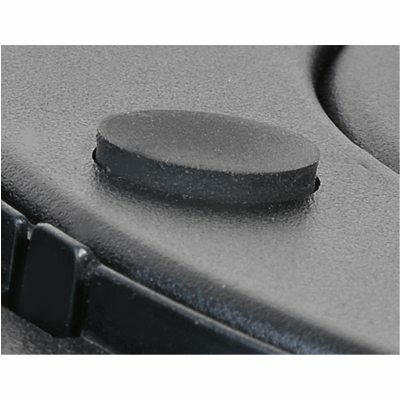 The anti slip protection system utilizes rubber blocks at the bottom and rubber pads at the top. The texture and composition ensures your device will stay put and the material will keep you from scratching any of your device surfaces. 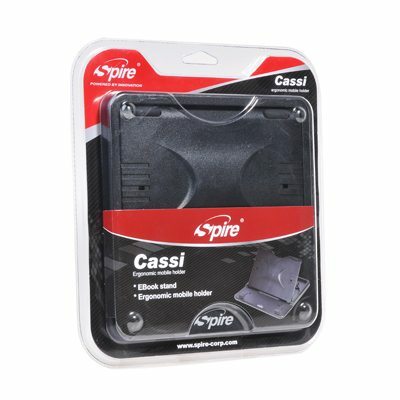 To ratchet things up a notch, Spire also designed the Cassi with a rotating base. The Cassi can rotate 360 degrees for easy viewing and sharing. The ability to rotate your display allows you to keep the tablet within your grasp and out of the slippery fingers of friends, family, or coworkers. 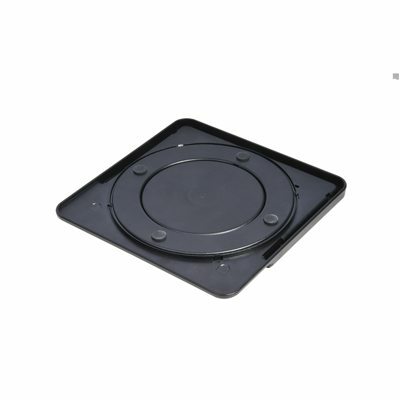 The base is garnished with 4 rubber feet to make sure it doesn’t slide around on your desk while working. In the real world though, you may find it difficult to have the base of the Cassi rotate depending on the type of surface you employ. On my cheap (very cheap, and old) laminate desk, because of the weight of the unit with a tablet, you are moving the Cassi itself and not the rotating base. Given the simplicity of the design, there isn’t much that can go wrong here. The Cassi feels sturdy, mainly because Spire designed it with high quality components. The metal arm is strong enough to withstand daily usage and the plastics used are strong enough to withstand repeated dropping. Add all these things up and you have a product that is strong enough for daily use without sacrificing usability. 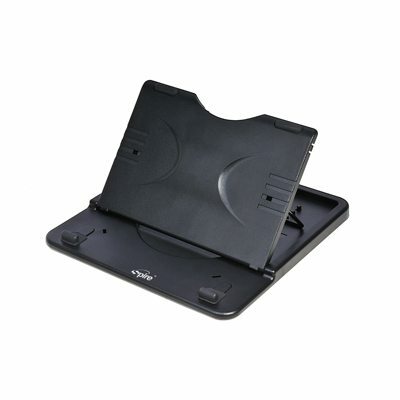 In the workplace, the Cassi provides you with a means to access your tablet easily without shuffling around during a meeting trying to get the perfect working angles. While with friends, the rotating base means that you can share your media easily without having people’s grubby fingers all over your tablet or e-reader. Bottom line, is it worth it? With a price tag of only $16.99 USD (MSRP) you can’t go wrong. If you are picking up a Kindle Fire, an iPad, or one of the other hundred options for someone, don’t forget the accessories… or the Cassi.